Recently enthroned as J Walter Thompson's global chief executive, Tamara Ingram shares her passion for creativity and inventiveness in advertising. 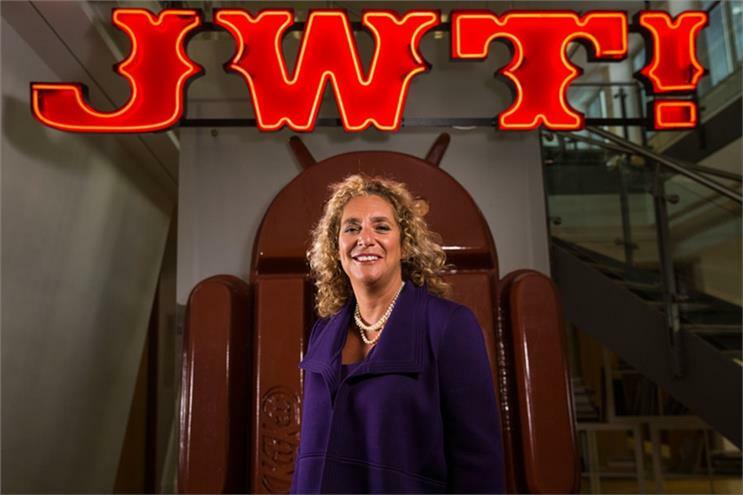 One of the few women to lead a major advertising agency, Tamara Ingram took on the global chief executive position at JWT earlier this year. Smart, passionate and energetic, she is focused on bringing "diversity" to the 152-year-old agency. That’s diversity of skills as well as gender equality, an issue which became a major topic of conversation in the wake of her predecessor Gustavo Martinez’s exit after JWT chief communications officer Erin Johnson filed a discrimination lawsuit in New York claiming, among other things, that he made multiple racist and sexist slurs. Based in New York, Ingram, who until recently ran global account teams, isn’t able to comment on Martinez and the lawsuit. She does, however, share her views on gender equality and the positive impact diversity can have on businesses, as well as what she sees as the future of creativity. Atifa Silk (Campaign Asia): What has been your biggest challenge since you took on the JWT job? Tamara Ingram: My biggest challenge is that we can never move fast enough. That’s what keeps me up at night. As a business it’s more important than ever that we move at speed to create the right change, and to get the right people. I love the industry and I’m really passionate. It’s very simple what drives me: the creative work. Atifa Silk: What’s your definition of creativity and its purpose? Tamara Ingram: If you asked me 20 years ago what we did with creativity in the world of advertising I would have said, we turn human truths into imagination to enable people to feel different things about a product or service to change behaviour. Today, my definition of creativity is a combination of pushing the same things as human truths, but connecting with inventiveness and innovation. Not only can we communicate in a way that moves people, but we can also position our products into services for the benefit of people. The purpose of creativity has gone beyond communication. All of our current products and services try to improve people’s lives a little. Atifa Silk: How do you make diversity a priority across all your offices? Tamara Ingram: That’s a very good question. We have 200 offices, so it’s always a challenge. However, we have made it top of our agenda, and it has to be in order to stay relevant for the next 50 years. We have a diversity and inclusion council with many people represented on it, and then there are various initiatives. We have an initiative in terms of people and talent that goes down from regional to every single country. That’s the only way to do it—to have a strategic commitment, and to make it measurable, and to put the same strategic plans in place against it. We’re thinking about how we can expand our [talent] pipeline in a different way. So we’re looking at outreach programmes, going to different communities, and even people with different types of education backgrounds. This article is excerpted from Campaign Asia. Read the full interview here.